What is mentoring – according to Merriam-Webster Dictionary, the definition of this term is “a trusted counselor or guide”, it can also mean “tutor” or “coach”. The first mentioning of the word “mentor” goes back to the literature of ancient Greece and Homer’s epic “The Odyssey” where Odysseus was away from his home fighting and journeying for 20 years. During that time, Telemachus, the son he left as a babe in arms, grew under the supervision of Mentor, the name of an old trusted friend. When the goddess Athena decided that it was time to complete the education of young Telemachus, she visited him disguised as Mentor and they set out together to learn about his father. Since then, the name of this character started being used as a common term for “trusted tutor”. As the time flows, the meaning of the word “mentor” has preserved and improved significantly. Today, we use the word “mentor” for anyone who makes a positive, guiding influence on another person’s life but, at this point, the question is: why do we need someone to help us make our lives better? In order to be successful and apply ourselves in every minute changing world there is a necessity not only to develop yourself and your personal skills but also to adjust according to these changes. traditional behavioral patterns are changing. These factors make us realize that we need to accommodate our behavioral patterns if we want to keep up with the times. We need to be flexible both in personal and professional life. Mentoring is a process of direct transfer of experience and knowledge from one person to another. 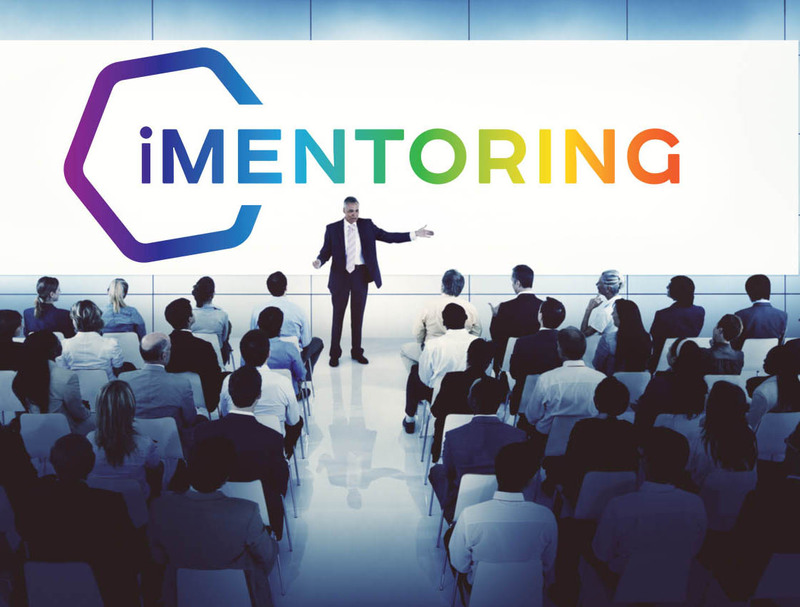 International Mentoring Group goes with the flow of rapidly developing world – we have designed a unique technology of iMentoring. This unique technique is a training ideology created at the junction of andragogy (adult learning), coaching, business development and internet communications. We use optimal resources to help you achieve maximum effectiveness in business and individual development. Whether you are a business owner or an employee, you can benefit from sharing or acquiring unique life experience and apply this knowledge in future. There is no doubt in the fact that development, by means of sharing and receiving unique life experience, is a basic and common need of human being throughout centuries. Read more about different types of mentoring at our site. Before continue reading about mentoring and its differences from coaching, we propose you to read the article "What is coaching?"